Those flat brown spots known as age spots (also commonly referred to as liver spots) that start popping up on your hands, neck and face as you get older are actually not caused by age, but sun damage that accumulates over the years. They’re more common in those with a fair complexion and appear more frequently in people who spend a lot of time in the sun. Some people have a hereditary predisposition to age spots. Age spots may develop at an early age, even in childhood, though they are more common in older people, especially in those who have spent too much time in the sun. 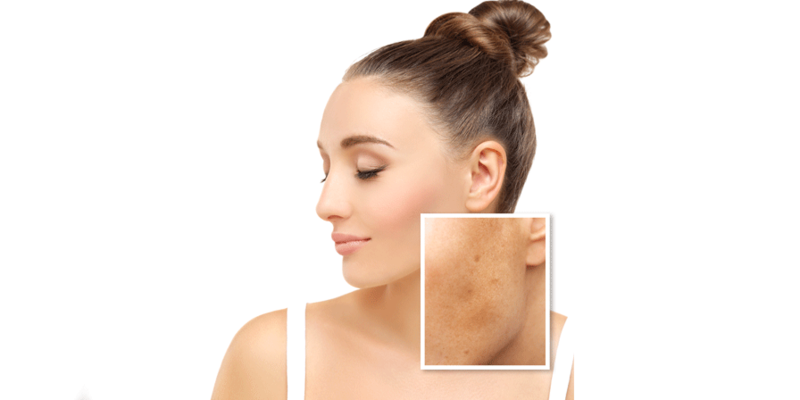 But, whatever the reason for their occurrence, while age spots aren’t dangerous, they can make you look older, which is why so many people look for ways of removing them. Apple Cider Vinegar - When Apple Cider Vinegar is mixed with onion juice and applied directly to the skin, it can help you to get rid of age spots and sun spots.Take One part Apple Cider Vinegar and 1 part onion, blended together and dab a cotton pad into the solution and apply it directly onto the age spots. Leave this on the skin for a minimum of 30 minutes, or as long as you are comfortable with it. Repeat this once a day for approximately 6 weeks and you should begin to notice a gradual improvement. If the spots have not completely disappeared after the 6 weeks but they have started to fade, keep repeating the process until they do. Essential Oil - Sandalwood essential oil contains anti-aging compounds that make it effective for fading age spots. You can use it by massaging a few drops of the oil, diluted in a carrier oil directly onto affected areas. Repeat the process every day for a week, and then twice each week for two to three months for the best results. Lemon Juice - Lemon juice has bleaching properties that can help get rid of brown spots. Plus, it helps maintain soft, clear and beautiful skin. Simply apply fresh lemon juice directly on the affected area. Leave it on for 30 minutes before rinsing it off with cold water. Repeat this remedy twice daily for about two months to notice positive results. If you have sensitive skin, dilute the lemon juice with water, rose water or honey.